Hey there friends, new and old. As you may know I have been doing a lot of posting on my instagram lately and less here on my site. 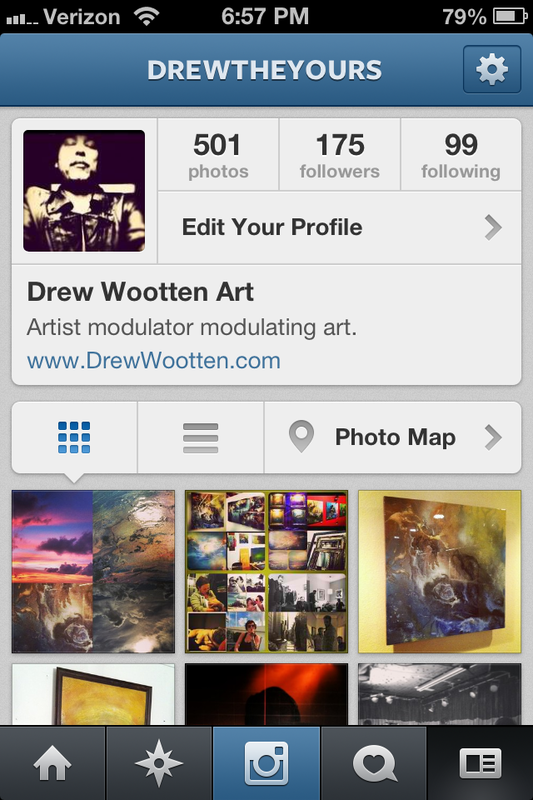 If you are new to my site and are seeing this post this is your chance to follow me on IG, @drewtheyours. There you will be able to see some close-ups and full pics of my most recent projects whether it be painting, photography, building things with wood, my photograph manipulation series (#photographmanipulation) and my music project, The Yours Revue. I promise there are not a gazillion pictures of cats or selfies or margaritas and certainly not my nails. Maybe a couple but it’s mostly about the art and all the different things I create. Have a look, give me a follow and let me know what you think. Thanks. I Won Montana x 33Third’s #60SprayCanGiveaway !!! 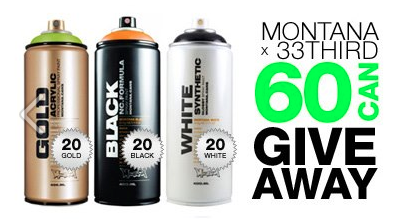 In August, 2012, the online graffiti and art supply store, 33Third.com — recently awarded “Best store for street artists” by LA Weekly — hosted a twitter contest where 60 cans of Montana spray paint would be given away to one lucky winner, chosen at random. The rules were simple: add the #60SprayCanGiveaway to your tweets, purchase Montana products from their online store, and join 33’s mailing list. Simple enough, right? Well, today I received the news that I won! This is such an amazing contest to win given the fact that I use spray paint, in addition to many other types of paint, to create the art you see here on my site. It’s also a great help as we all know that painting and art supplies don’t come cheap. I am completely overjoyed to have won this contest. 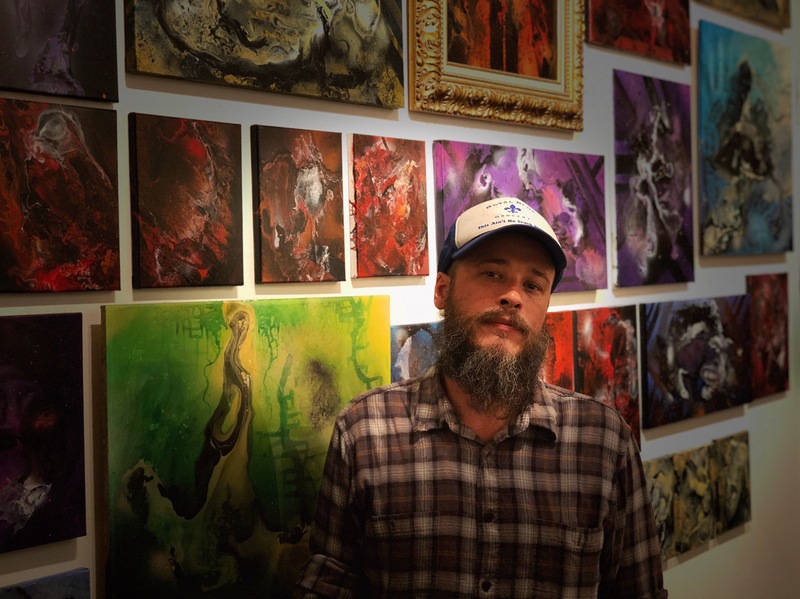 Many thanks and much respect to 33Third and Montana for their support and continued encouragement of not just me and my art but of all the artists out there that strive to perfect their craft in all areas. Thanks 33 for really taking care of all us local artists. 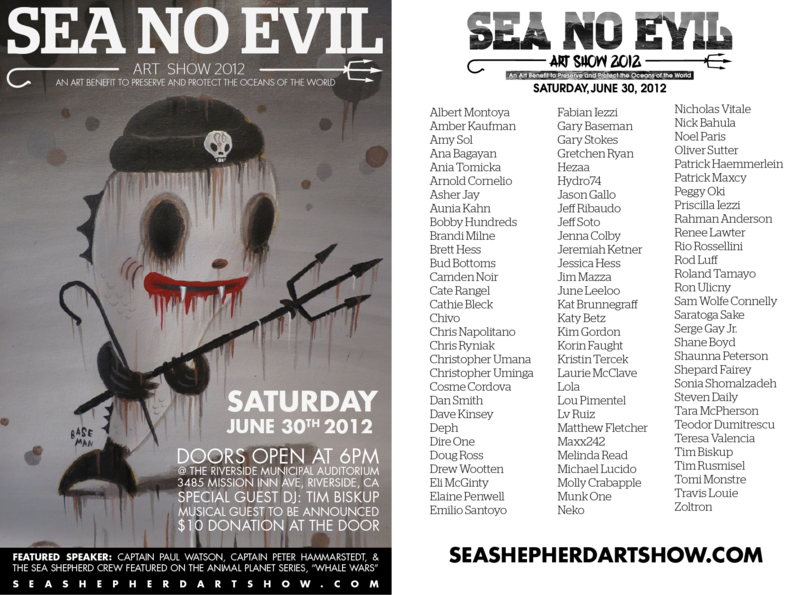 I am pleased to officially announce that I will once again be participating in this year’s annual Sea No Evil Art Show, taking place Saturday June 30th at the Riverside Municipal Auditorium. Last year’s event was such an amazing success for the Sea Shepherd Conservation Society and was also huge achievement for myself; the two original pieces of artwork I donated to SNE 2011 both sold. 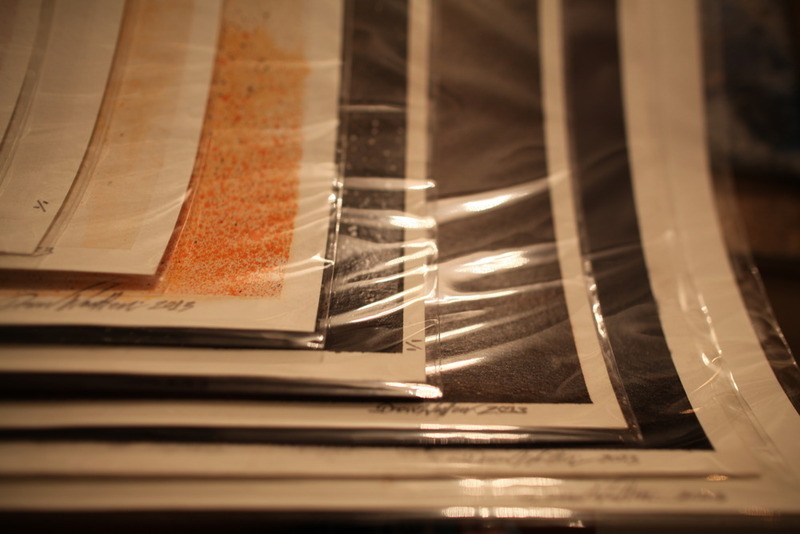 This year I will be donating one new piece that is a part of my most recent body of work. It is truly an honor to be a part of such a great cause. I am so happy and grateful to be donating to this wonderful show again and to be able to show alongside some really great artists and friends. 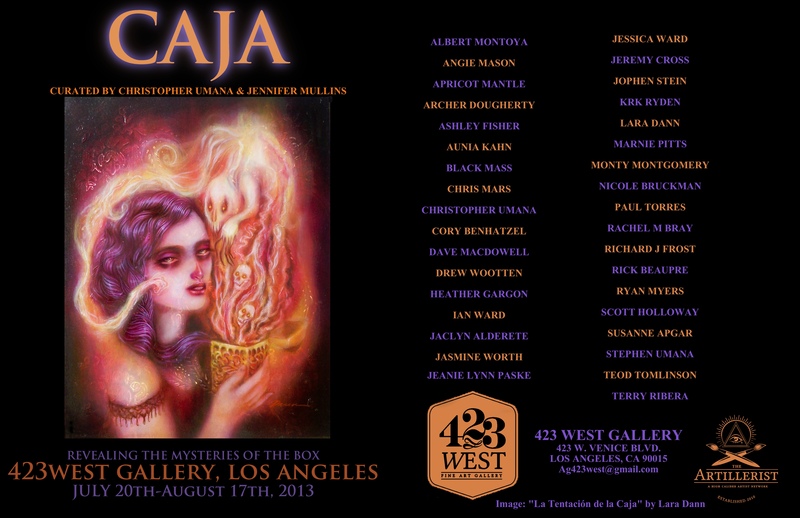 Please come out and show your support while checking out and, hopefully buying, some great art. 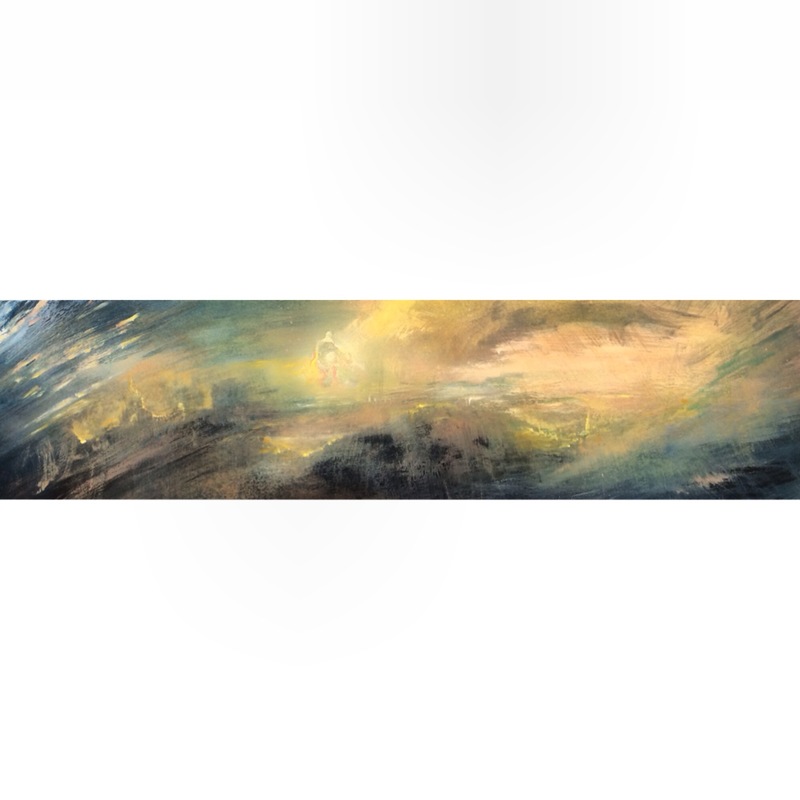 All art will be auctioned off with the proceeds going towards keeping our oceans and all that dwells therein safe. See you there! I’m currently in New York looking at some galleries to get my work into later this year. Feel free to pass along any of your favorite spots that you think would be a good fit for my work. Now, off to put in some foot work! Also, stay tuned for new photography and progress updates via twitter. Have a great day!